Mexico walked away with a victory to start the ‘Tata’ Martino era in 2019. The 3-1 win over Chile may not have been a truly formal “revenge” for the 2016 drubbing at the Copa América, but it did a good job of clearing some air and boosting players confidence moving forward. One of the major aspects of last night that stood out was the constant hustle and attention to detail by players like Edson Álvarez, Carlos Rodríguez, and Rodolfo Pizarro. The three were pressuring and cleaning up plays throughout the match, giving Mexico the advantage during stretches of the game. In sort of an unusual fashion, Andrés Guardado was called for quite a few fouls. He was shown a yellow early on and even had several other fouls called on him during the match. In other scenarios, Andrés is one of the leaders of this young core, so hopefully, we see less of that in the future. There are some good keepers on the rise in Mexico, yet, Memo Ochoa looks to stay in charge of guarding the goal for some time to come. He does have some slip-up moments, specifically clearing the ball long, but he showcased his great reflexes and anticipation of oncoming shots last night. It might seem like an obvious point to make but ‘Tata’ Martino’s constant moving around to communicate with players was great to see. ‘Tata’ has control of his game plan and you could with how the Mexican players responded to it. 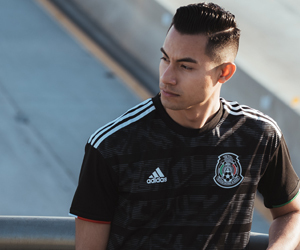 While the roster was not complete with Mexico’s top performers, this win is giving us a glimpse of what is to come for the Mexico national team. As mentioned, the players last night appeared to have responded well under ‘Tata’ so when they finally have everything lined up and have their best to offer, they could be a real handful for opponents. Next up for Mexico will be Paraguay on Tuesday, March 26 in Santa Clara, California – Kickoff starts at 7:00 pm Pacific, 10:00 pm Eastern.